Fifteen years ago, we wrote an article for the New York Times in which Bob predicted that video game sales would soon outpace movie box office receipts. That happened just a couple years later. The spread between the two forms of entertainment has widened ever since. The 700 top grossing movies for 2015 took in close to $11 billion; the four top films accounting for close to half of that. That’s a lot of money. Sales of video games. on the other hand, were around $61 billion, according to CNBC. Other accounts, perhaps including end-of-year figures that were more accurate, made it around $100 billion. The top selling video game: “Call of Duty” took in $10 billion in 2015 all by itself, right around the total box office receipts of all 700 movies. 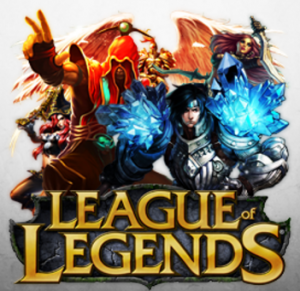 And the games go on: “League of Legends,” which is a free game, has taken in as much as the all-time best-selling movie Gone “With The Wind,” even when that one’s gross sales are kicked up to adjust for inflation. Each has taken in about $3.4 billion. Of course the logical question is “how can a free game make money?” The answer is video games are interactive; you are part of the game. When you choose to play as a character in the game, or several characters if you wish, you can buy weapons for them, armor, clothes, houses, castles, even money to go shopping. Most of these items cost small amounts, from a few cents to couple of dollars. Items you admire on other characters can also have a price tag. It’s small change. They’re called called “micro payments” in the games business, but they add up to major money. Interactive is the key word here. A couple decades ago Bill Gates predicted that some day we will be able to watch a TV show or a made for TV movie and just as in video games, click on something we like. Like that dress or sport coat a character is wearing? Click on it. Want a couch just like the one that’s in the living room in a “sit-com?” Click on it to find the price and the provider; click again to buy it. The days of static — stationary — entertainment are drawing to a close. When you buy a ticket to a movie and sit there till the end, that’s all there is. You probably don’t even stay to watch the credits scroll by? (Just what is a “best boy” anyway?) When you buy a video game, on other hand, you can play it for years. (We met a lawyer a few years ago who had been playing the same game for 12 years — and he wasn’t tired of it yet. Just as movies replaced opera as the most common form of popular entertainment a hundred years ago, and relegated it to a “seasonal” activity attended by a tiny but dedicated coterie of fans and financed by grants, so movies will eventually be relegated to what are called “art houses,” and profits will depend on popcorn sales. No matter where we’ve lived, our favorite public radio station remains Chicago’s WBEZ. Now there’s a free WBEZ app for Android or iPhone/iPad. You can listen in live, or use their “replayer” to replay all of the proceeding week. This is the station for “Wait, Wait, Don’t Tell Me,” the number one radio show in the country. To use the replayer, swipe a finger to the right on your smart phone or tablet screen, stopping along the way whenever you see a show you’d like to listen to. Our current favorites are “Wait, wait …” and “Freakonomics.” If you don’t like swiping through a list of what’s been playing lately, choose a show from an alphabetic list of dozens. By the way, the program director told us that WBEZ’s biggest competitor is the Audible.com app. If you listen on your phone, Audible includes short stories, news channels and other stuff besides audio books. It costs $15 a month. We like Audible for its books, such as “The Rosie Project” about a guy with Asperger’s syndrome, one of the funniest books we’ve ever listened to and a favorite of Bill Gates and his wife. CloudConvert.com makes it easy to convert any sound file into an MP3 or other audio format, to play on an MP3 player or elsewhere. First, you upload your files, choose “MP3” or some other format, and then download it back to your computer or device. 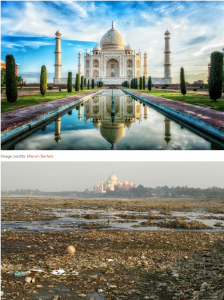 Search on “15 Famous Landmarks Zoomed Out” to see the surroundings of fifteen famous landmarks when you zoom out. That’s perfectly clear. Like the Taj Mahal? It’s surrounded by trash. Soundcloud.com/wearable_progression is a channel for running enthusiasts. It features interviews with super runners, coaches and scientists. It bored the heck out of us, but if you’re into running, this is your channel. Sure. We know that gremlin. His name is Harold. In Internet Explorer, click the “Tools” button, which looks like a tiny gear up in the right corner. Select “Internet Options.” On the “General” tab, under Home page, enter the website address that you want as your home page, or select “use current page,” which will plug in the address of whatever site you’re on now. Click “Apply,” and “OK.” In Firefox or Chrome, click the hamburger icon, those three stacked lines in the upper right. There are many sites, such as Elance.com, Freelancer.com and Odesk, for finding experienced website designers, marketers, programmers, and other professionals. Now LinkedIn offers the same, with “LinkedIn Professional Finder” at linkedin.com/ProFinder. Besides the usual suspects, they also have accountants, legal services, writers and editors, and others. Once you describe your project, you get five proposals, with a price quote and a link to the professional’s page on LinkedIn. When we tried it, we got a five quotes about updating our website. They all looked good.